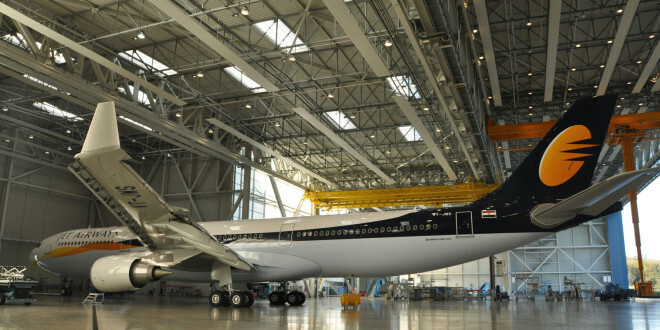 Jet Airways Airbus A330-300. Image courtesy Jet. The airline’s fleet has reduced from over a 100 aircraft to around an estimated 15 today. 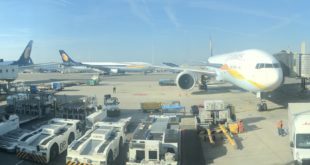 “A Jet Airways passenger aircraft was seized at Amsterdam Schiphol Airport today following a court order issued by Haarlem Court in favour of Worldwide Flight Services in relation to the outstanding payment of handling fees. Bangalore – Amsterdam and Chennai – Paris flights cancelled? Today it appears that the airline has cut their services on the Bangalore – Amsterdam and Chennai – Paris routes, both of which were operated with Airbus A330-300’s. While the airline’s status page shows the flighs as cancelled from today onwards, its booking page is still allowing bookings to be made on the flights. 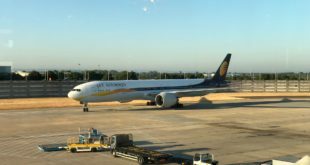 These routes were launched about a 18 months ago as part of the airline’s effort to expand its international network and establish its third base in Bangalore. Both flights have been reported to have high load factors, and their cancellation will be a severe blow to Jet. The airline has also cancelled all its flights to Singapore. Previous Boeing orders and deliveries – March 2019. MAX deliveries fall.